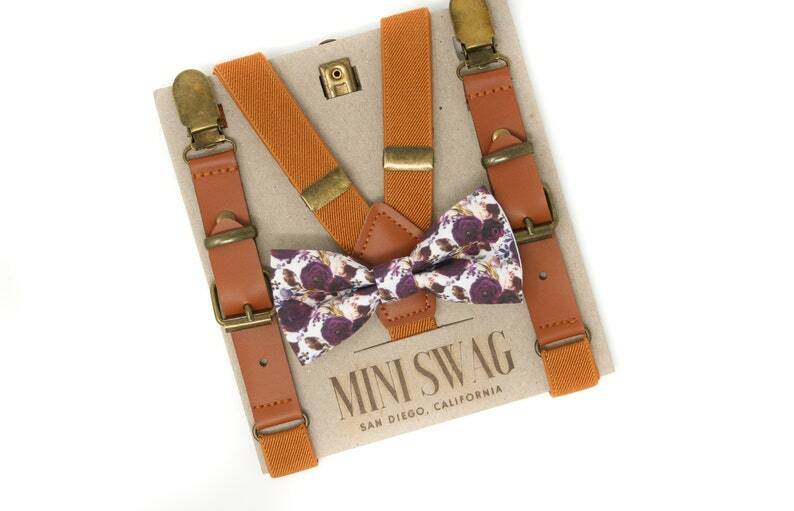 These kids vintage look suspenders are made from PU faux leather, camel brown elastic and antiqued hardware. The elastic is extremely stretchable for a comfortable fit and the antiqued clasps easily attach to most clothing. Can't wait to try these suspenders on my boys for my upcoming beach wedding! Thanks so much! No smile but Logan still looked handsome in his bow tie and suspenders❤Thank you so much!